Opened in 1895, we have been a presence in the Hemet community sharing a message of hope and shedding light on the redemptive power in the love of God. We are a christian church with activities for all ages Worship and Music Ministry, Women’s, Men’s, Youth and Children’s Ministries. Preschool & Kindergarten Academy. After School Tutoring and Sports Programs. United Methodists are part of the larger Christian faith and affirm all of the historic beliefs of the faith as articulated in the historic creeds of the church. We affirm the God of Israel who has been decisively revealed in Jesus of Nazareth and continues to be present and at work in our lives in the form of the Holy Spirit. This understanding of God is known as the Trinity. We believe that God has been revealed through the Bible, and especially through the witness of the New Testament. The founder of the Methodist movement. John Wesley (1703-1791) was born at Epworth, England, the son of a Church of England clergyman. He was graduated from Christ College, Oxford, England. For a brief period he was a missionary to Georgia. In 1738 he had an intense religious experience at a meeting on Aldersgate Street, London. Following this he began to preach throughout the country. He was a prolific preacher and writer, and his writings provided a core of standard doctrine and interpretation to guide the new Methodist movement. In 1784, he sent instructions to America for the formation of a separate Methodist church for the United States. Baptism marks the beginning of our lifelong journey as disciples of Jesus Christ. Through baptism, we are joined with the Triune God, the whole of Christ’s church, and our local congregation. The water and the work of the Holy Spirit in baptism convey God’s saving grace, the forgiveness of our sins, and new life in Jesus Christ. Persons of any age may be baptized—infants, children, youth, and adults. United Methodists baptize in a variety of ways—immersion, pouring, or sprinkling. A person receives the sacrament of baptism only once in his or her life. 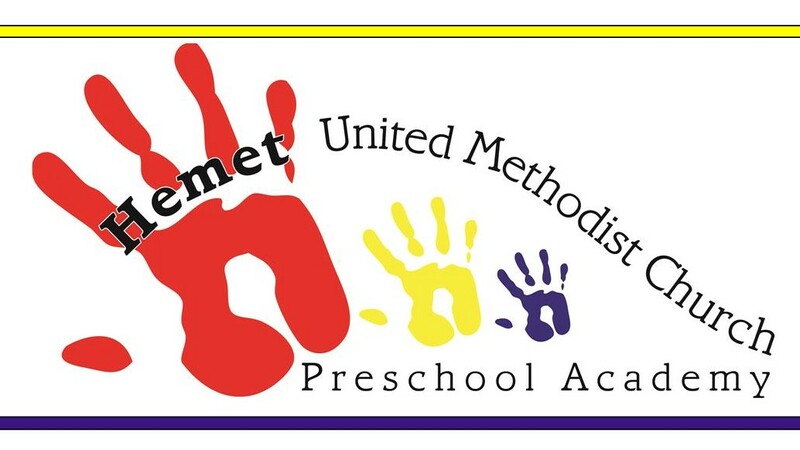 UMC Hemet is a church that seeks to build disciples who KNOW Jesus Christ, who seek to GROW in faith, to SERVE Christ in the community and in the world in which we live and to SHARE the love of God to all.